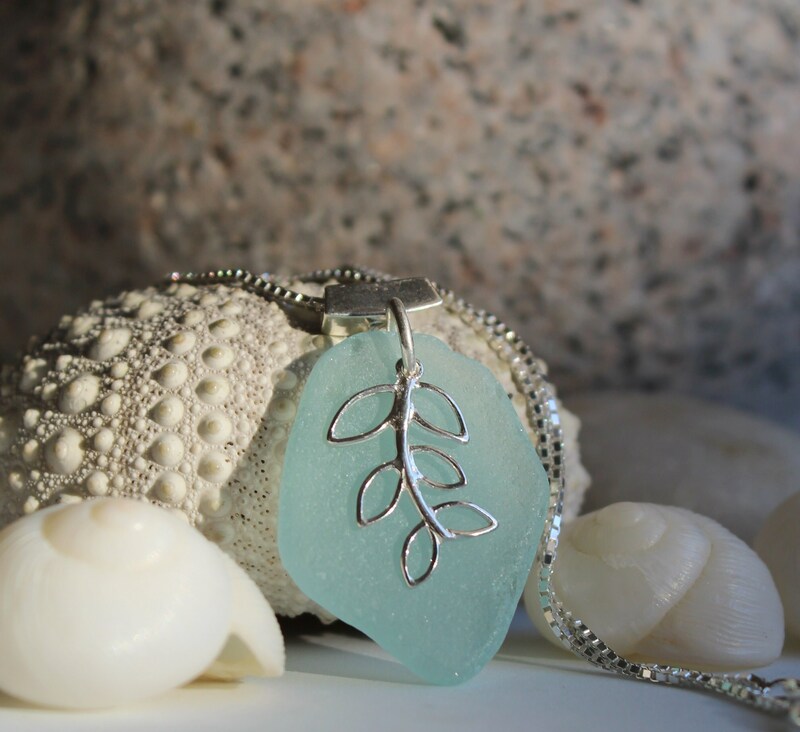 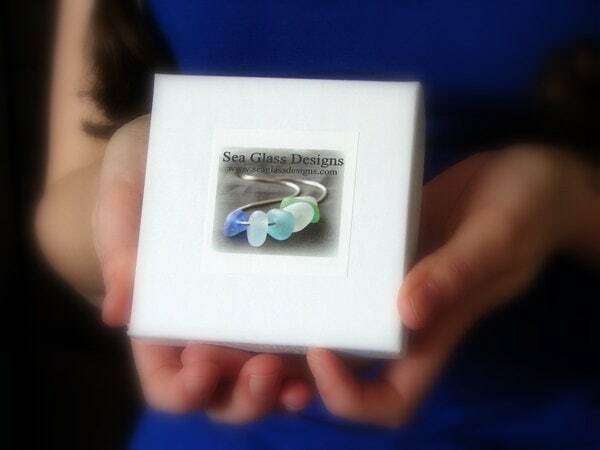 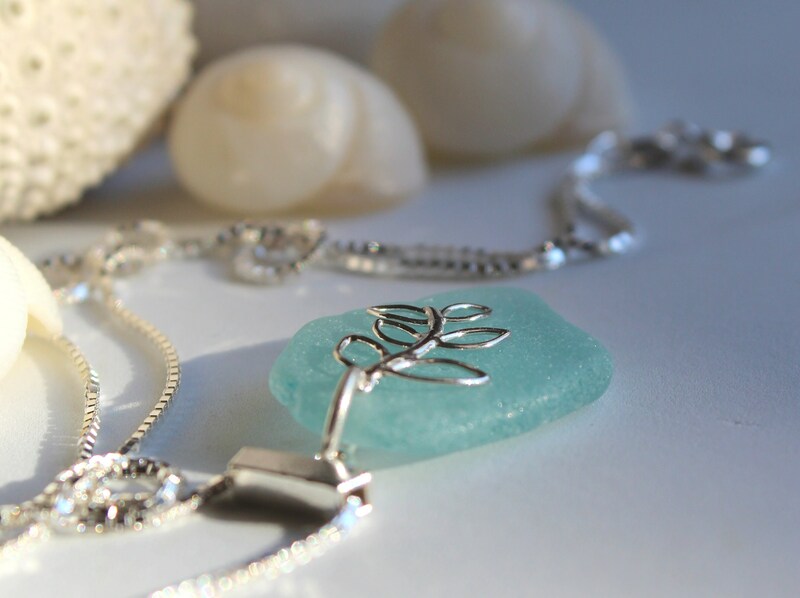 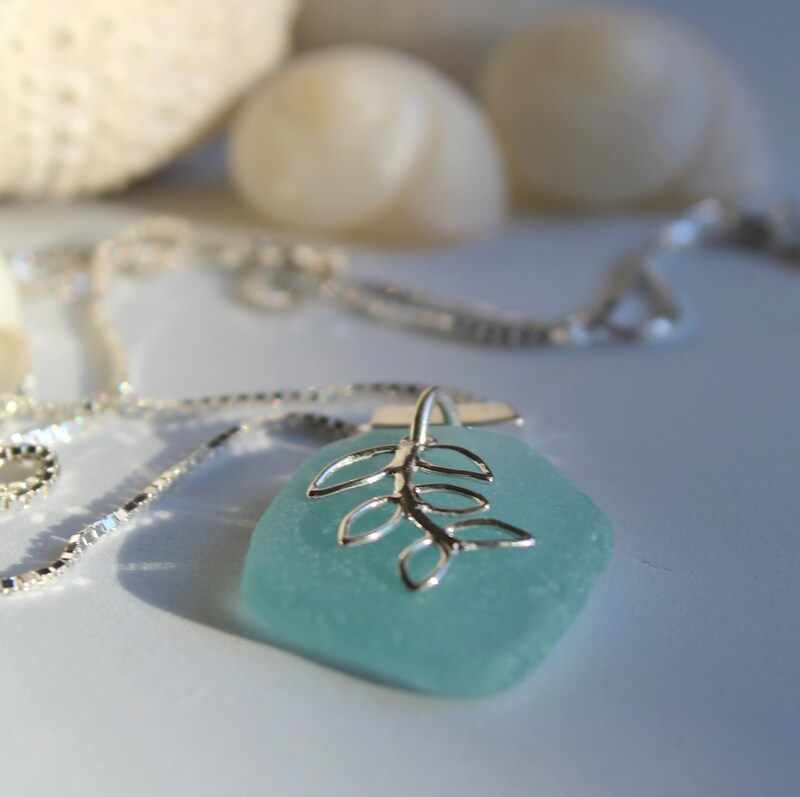 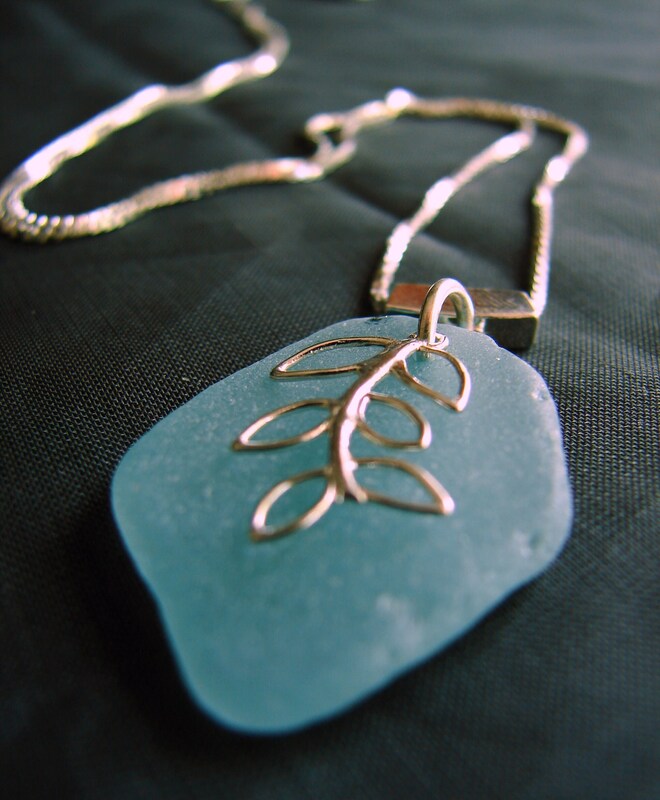 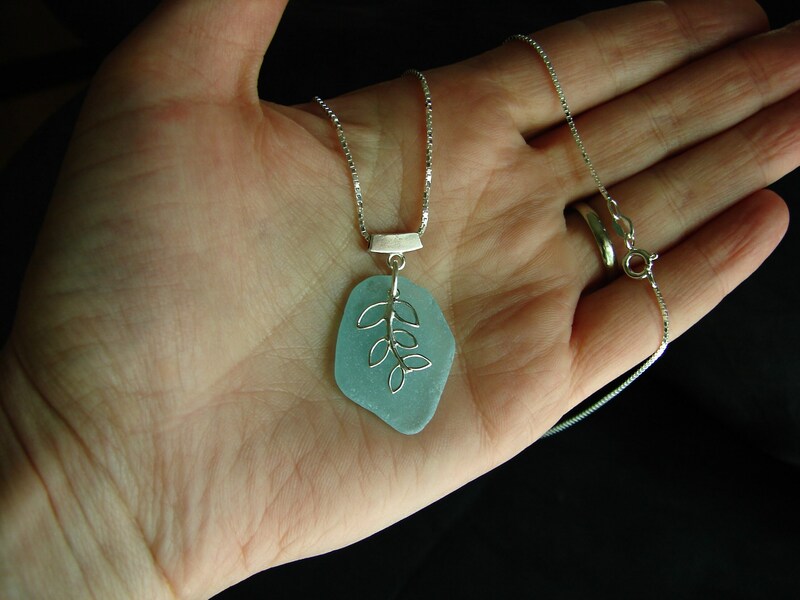 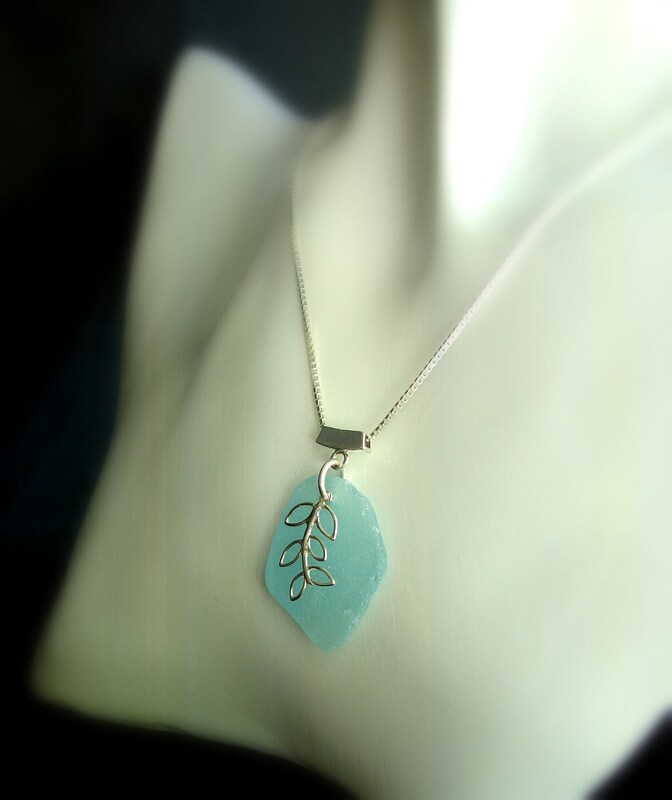 A sea glass necklace featuring a jewel of natural aqua beach glass, adorned with a silver leaf filigree. 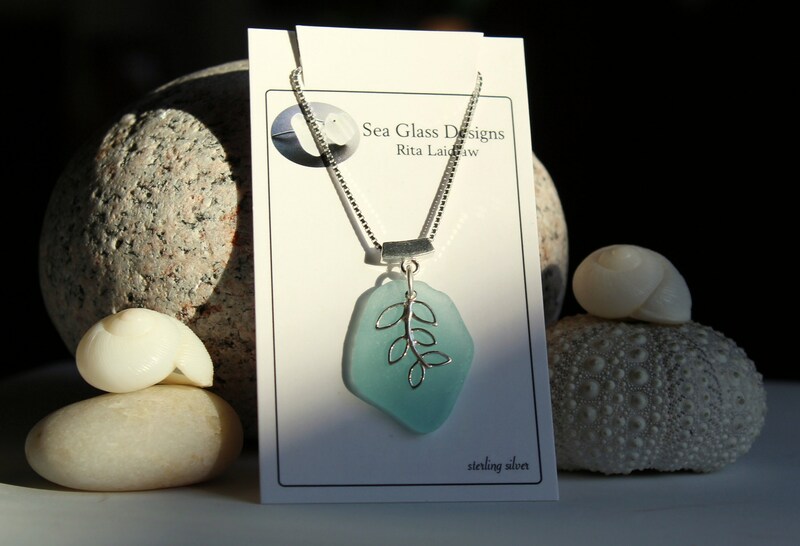 The "Sea Vine" pendant measures 1 1/2 inches in length and hangs on an 18″ sterling silver box chain. 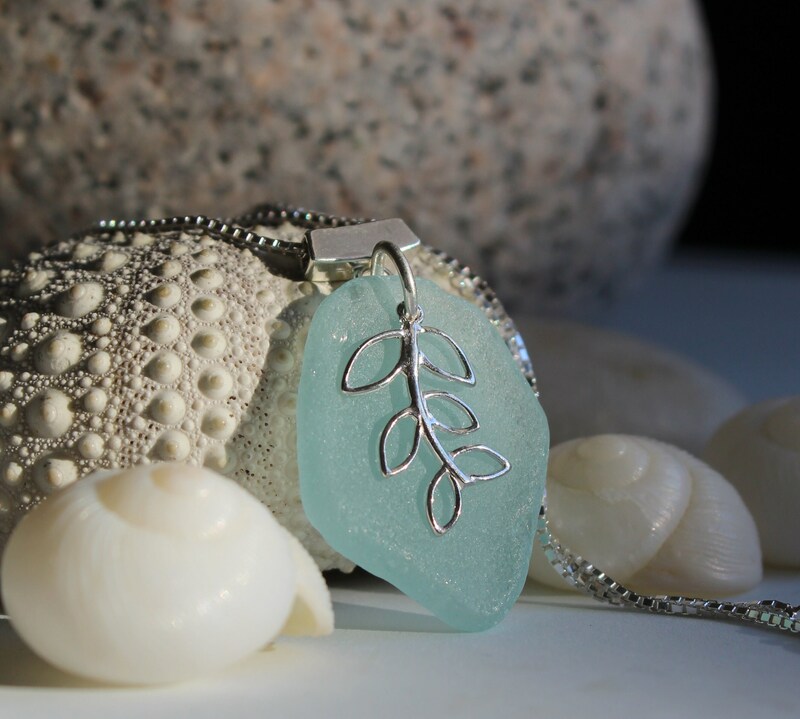 The silver contrasts beautifully with the aqua glass, a piece sure to be noticed.